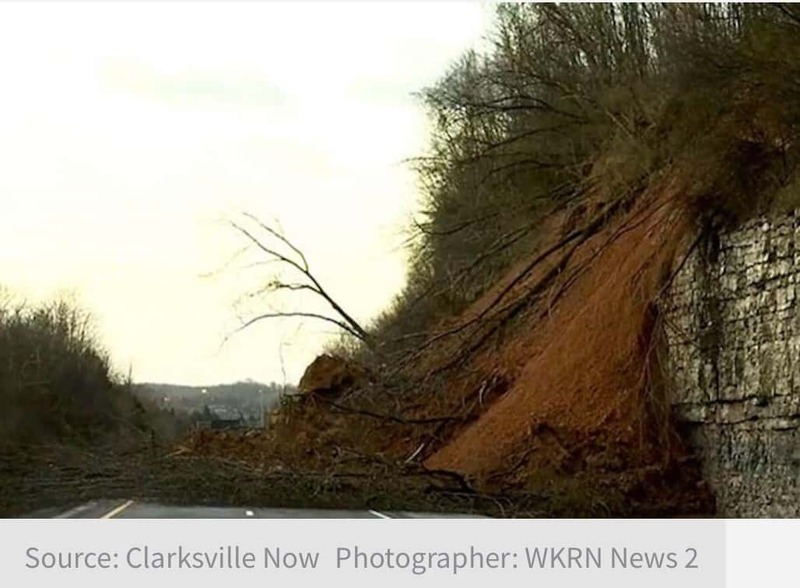 I-24 eastbound closed from mudslide, due to open Wed., March 13 at 9 p.m.
I-24 eastbound into Nashville is scheduled to open at 9:00 p.m. Wednesday evening. The route has been closed since the mudslide on Feb. 23. NASHVILLE, Tenn. – The Tennessee Department of Transportation plans to open I-24 eastbound at MM 42 to traffic by 9 p.m. on Wednesday, March 13, 2019. The roadway was closed on February 23 following a landslide. I-24 eastbound has been temporarily widened around the site of the slide to accommodate two lanes of traffic while crews continue working on permanent slope repairs. Approximately 36,000 cubic yards of material has been removed from the slope in order to make the area safe for drivers. The permanent repairs include additional excavation of the slope and installation of a rock buttress behind a rock bench approximately 50 feet wide. TDOT estimates this work will take 2-3 months to complete. The estimated cost for the permanent repairs and roadwork required to open I-24 to traffic is $8 million.